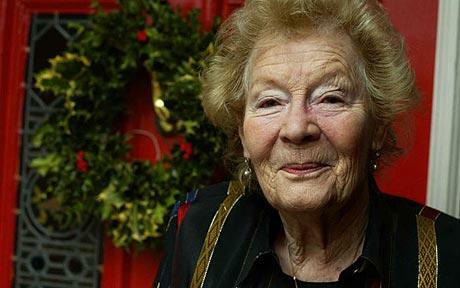 British children’s author Nina Bawden, who was best known for writing the book Carrie’s War, has died aged 87. Publisher Virago said Nina Bawden died at her London home on Wednesday morning surrounded by her family. Published in 1973, Carrie’s War was based on Nina Bawden’s childhood evacuation to Wales during World War II. The writer of some 50 books, the author was also badly injured in the 2002 Potters Bar train crash, which left her husband dead. Nina Bawden was shortlisted for the Booker Prize in 1987 for Circles of Deceit, one of her novels for adult readers, but lost out to Penelope Lively’s Moon Tiger. Her other novels included The Peppermint Pig, The Birds on the Trees and Granny the Pag. But it was Carrie’s War for which Nina Bawden became best known, often read in schools. It was adapted twice for television by the BBC, while a stage production also ran in the West End in 2009. The book won the 1993 Phoenix Award from the Children’s Literature Association in the US – awarded to the best children’s book published 20 years earlier that did not win a major award.